From Friday 22 April, TENT shows the plans and dreams of artists and architects for a new Rotterdam in the extensive group exhibition Utopian Dreams. As part of ‘Rotterdam viert de stad!’ (Rotterdam celebrates the city! 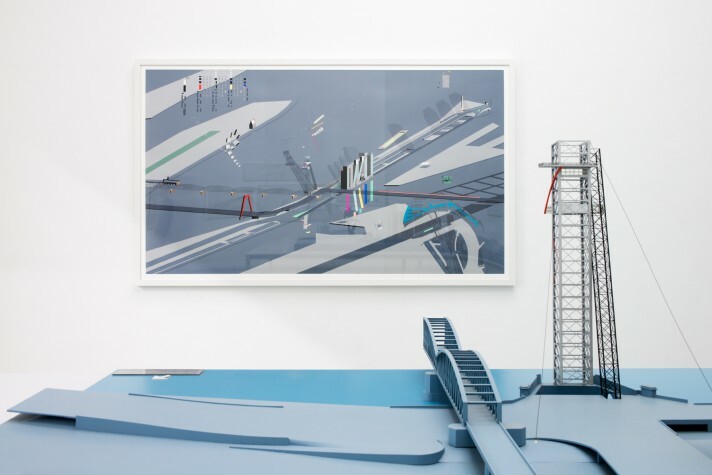 ), the collector and former museum director Reyn van der Lugt compiles a number of historical and contemporary future fantasies about Rotterdam. These acclaimed and imaginative projects inspire a wider debate on the future of Rotterdam. A city evolves through becoming more diverse, innovative, and ecological. Now that Rotterdam, with its distinctive skyline, is (almost) complete, the question arises: what is the artist’s current perspective on this city? What does the city now need? Since its post-war reconstruction, Rotterdam reinvented itself through large-scale events, far-reaching ambitions, and utopian plans. Artists and architects played a leading role in this. How does the artist envision the Rotterdam of the future? What are the urgent issues for this metropolis? 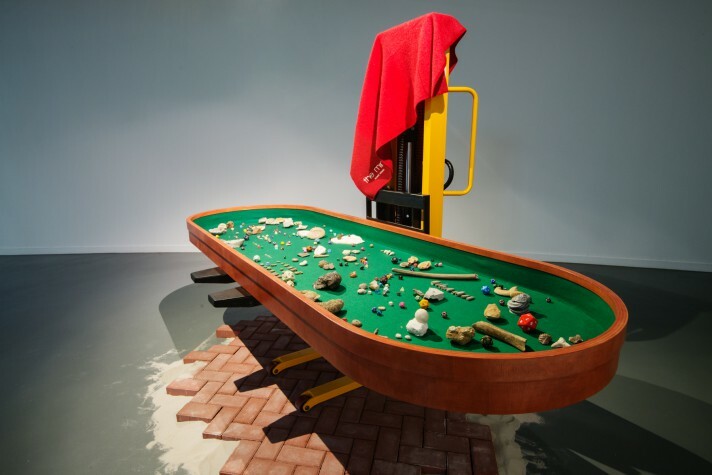 TENT presents a number of contrasting answers to these questions: Claes Oldenburg’s bridge resembling a pair of bent screws over the Maas, the free state Atelier Van Lieshout declared, or the personal future that writer Elfie Tromp formulates live during the exhibition. In 1969, Wim Gijzen proposed transforming the Schouwburgplein into a green pasture, complete with cows, willows, and a ditch. The design never got beyond the drawing board. 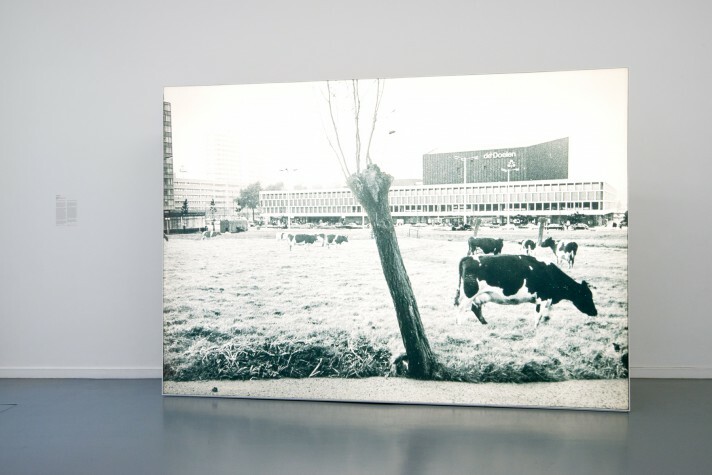 However, the photomontage of a cow pasture in the heart of Rotterdam took on a life of its own. Fascinated by the typical Dutch arch bridges, in 1977, Claes Oldenburg designed a bridge depicting two bent screws whose points meet in the middle. When Oldenburg learned of Rotterdam’s plans for a new bridge, he was convinced his Screwarch Bridge should be realised. At the invitation of museum director Wim Beeren, he made a location study and model. However, the municipality eventually had other plans. In 1980, Rem Koolhaas and OMA designed a watchtower as a focal point for the Boompjes – a busy road that flanks the river Maas in Rotterdam. The proposal – to up-end a part of the old Willemsbrug and convert into a one-hundred-meter-high observation tower – would be a playful competitor to the Euromast. As part of the Rotterdam ‘88 exposition, artist-architect John Körmeling was invited to reconfigure the Eendrachtsplein. He made a characteristic Körmeling-esque interpretation of the brief. Ambivalent of the Eendractsplein’s qualities as a public square, he proposed building a cultural centre in its middle to endow it with a sense of character. 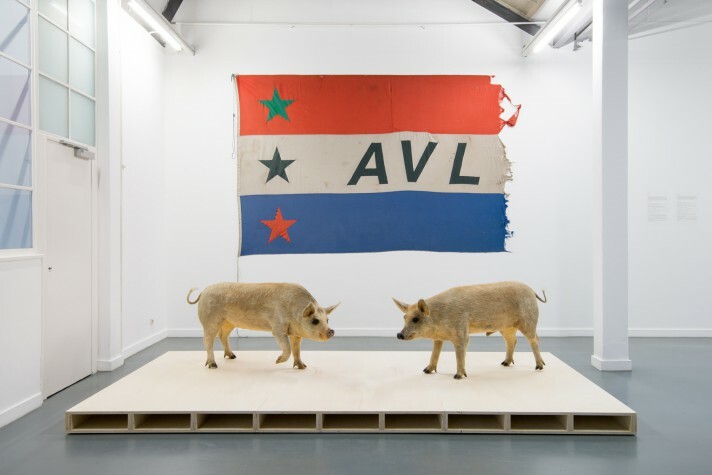 In April 2001, in Rotterdam’s neglected Vierhaven area, Atelier Van Lieshout established AVL-Ville – a free state with its own constitution, flag, currency, and communities. In this community, visitors, residents, and artists were invited to live and work self-sufficiently. After several successful but turbulent months, the municipality ordered the free state to close its doors. The legendary Ponton 010 project was developed at the invitation of the Port of Rotterdam Authority. Utopia consisted of Hans Oldewarris, Peter de Winter, Chiel van der Stelt, and Victor Mani, and together they designed a pontoon, with a grandstand, stage, and bar, which could accommodate 1100 people. For the summer of 1980, the immense pontoon navigated back and forth over the river Maas. It provided the public with first-class views of Rotterdam’s rapidly changing skyline. Van der Lugt invites five artists to develop new visions for the city of Rotterdam. Author Elfie Tromp will regularly sit at her desk in the exhibition to work in-situ, writing her future. Artist Han Hoogerbrugge takes us on a virtual walk along what he thinks Rotterdam currently lacks. Photographer Elian Somers questions the contemporary urban paradise in a series of new photographs. The designer Richard Hutten’s grand gesture embellishes Rotterdam’s future skyline with low-tech windmills that adorn the city’s roofs. The architect collective Cookies intend transforming Rotterdam into the only city in the world where one can remain anonymous, where secrets can be kept secret, and where codes and passwords are not hacked. 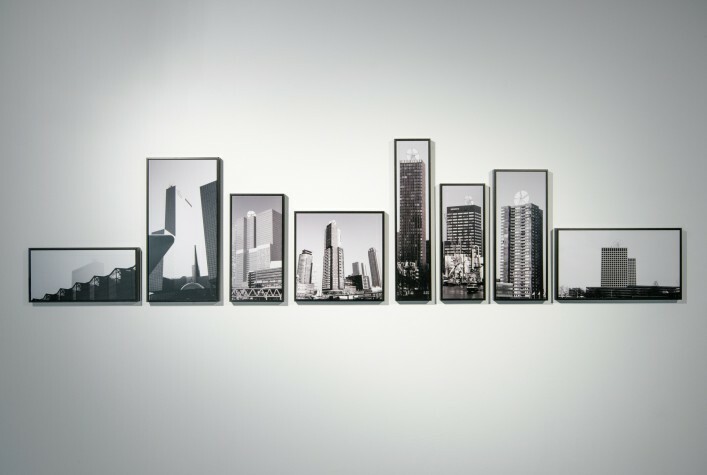 Since the late seventies, the curator Reyn van der Lugt organised significant art and architecture events, such as Architecture International Rotterdam and Rotterdam ‘88 / The City as a Stage, in which Dutch and international artists and architects were given the space to present their future visions. 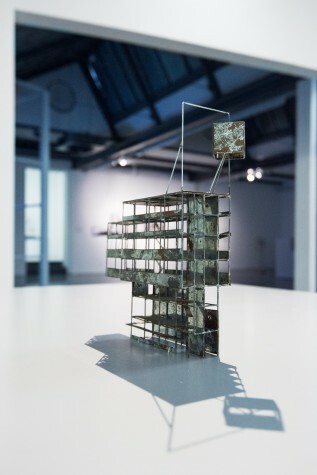 Subsequently, the worlds of art and architecture focused on Rotterdam, and the city became firmly established in debates about post-war architecture and art. 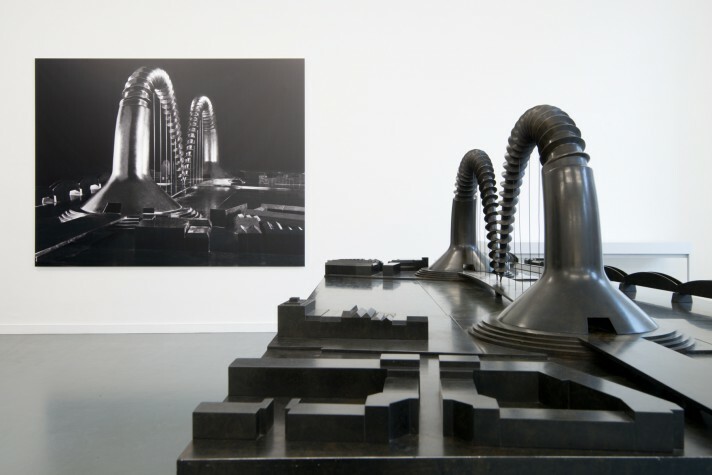 Among his influential roles, Van der Lugt was the Deputy Director of the Rotterdam Arts Foundation, a cultural attaché in New York, and the Director of the Groninger Museum. Reyn van der Lugt curates the Utopian Dreams exhibition in collaboration with Mariette Dölle and Marjolein van de Ven. Elfie Tromp invites fellow Rotterdammers, including artists, thinkers, and writers to create a slogan for the future of Rotterdam, akin to Douglas Coupland’s Slogans for the 21st Century. On May 18, Douglas Coupland reveals his ‘Slogan For Rotterdam’. The new slogans are compiled and presented at TENT as part of the Utopian Dreams exhibition. The slogans are also digitally distributed through TENT’s Facebook, Instagram, and Twitter.